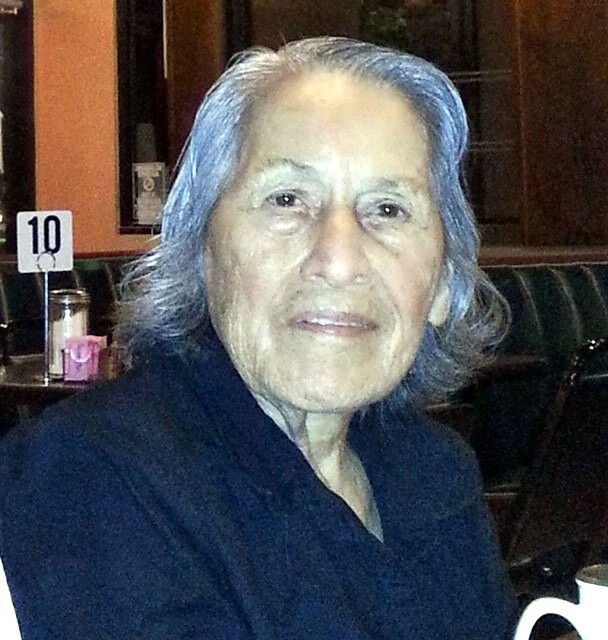 Guadalupe “Lupe” Hinojosa Pena, 86, of Baytown, passed away Friday, April 12, 2019, at her residence. Lupe was born December 9, 1932 in Baytown, to parents; Santos and Isabel Gomez Hinojosa, and was a lifelong resident of Baytown. She was a graduate of Robert E. Lee High school, a homemaker, and member of Our Lady Guadalupe Catholic Church and Gudalupanas. She also enjoyed spending time with family and friends. Mrs. Pena was preceded in death by her parents, daughter: Anna Marie Rangel, and brothers: Antonio and Jose Hinojosa. She is survived by her children: Mario Pena and wife Esmerelda, Mike Pena and wife Marisela, Theresa Casco and husband Francisco, Joe Pena and wife Roxanne, Elvira Valencia and husband Rafael, and Richard Pena, brother: Santos Hinojosa, 21 grandchildren, 23 great-grandchildren with one on the way, numerous nieces, nephews, other relatives, and friends. The family will receive friends from 5 p.m. to 8 p.m., with rosary services at 7 p.m., Monday, at the Crespo & Jirrels Funeral Home Chapel. Funeral rites will be held at 10:00 a.m., Tuesday, April 16, 2019, at the Crespo & Jirrels Funeral Home Chapel with interment at Memory Gardens Cemetery in Baytown.